Golden Lane is one of Prague's most picturesque streets. 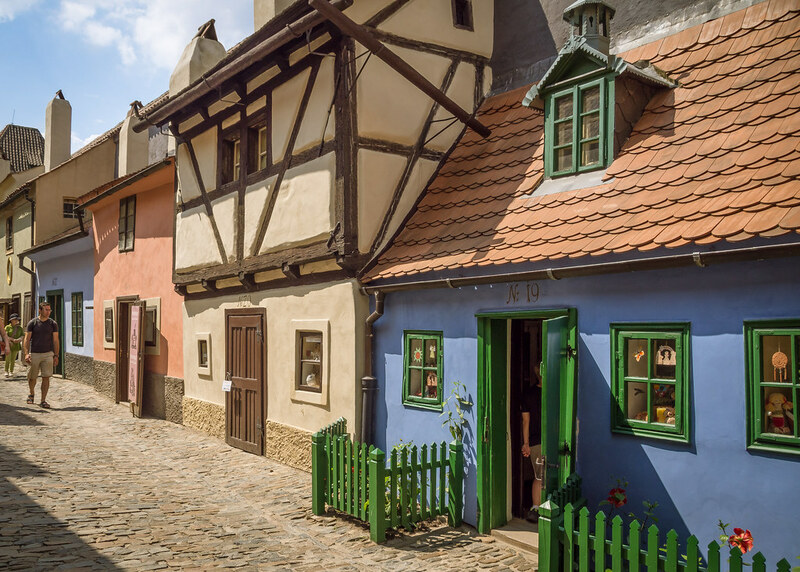 Located inside Prague Castle, this fairytale like laneway of pastel coloured homes was built in the castle's fortifications at the end of the 16th century. To access the Golden Lane, you need to purchase a ticket for Prague Castle. Almost every different circuit ticket includes the Golden Lane and for a good reason, since no visit to Prague castle is complete without visiting Golden Lane. In 1597, the marksmen who guarded the fortifications of the castle wanted a place to live nearby. They didn't want to walk all the way back to Lower Town every day after their shift was over, and being nearby would mean faster response to any attackers. The emperor granted them permission to build their homes on the small piece of land that is now the Golden Lane. But there were 24 marksmen and a lack of space for large enough houses for all. 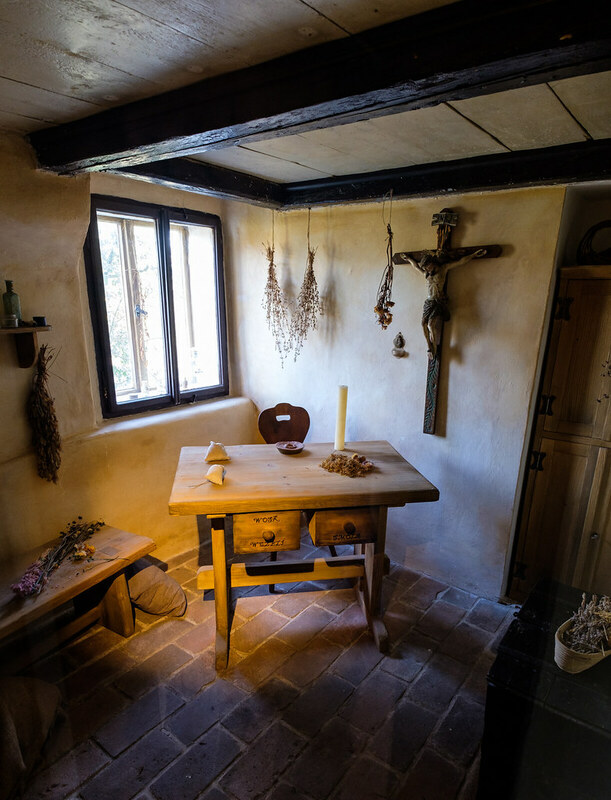 The miniature houses were constructed in the mannerist style out of stone, mud and wood - all cheap materials which would have been abundant to these marksmen. Eventually, the row became home to more than just marksmen. Both rich and poor people lived here as their proximity to the castle made it the perfect location to best serve the monarchy. There were artists, clerks, footmen and more all living along this narrow road. An extensive renovation was done to the lane in the 1950's after WWII, and today only 11 historic houses remain. The only house which has retained with Renaissance appearance is house #20, with it's original dark brown pieces of framing which can be seen from the exterior. 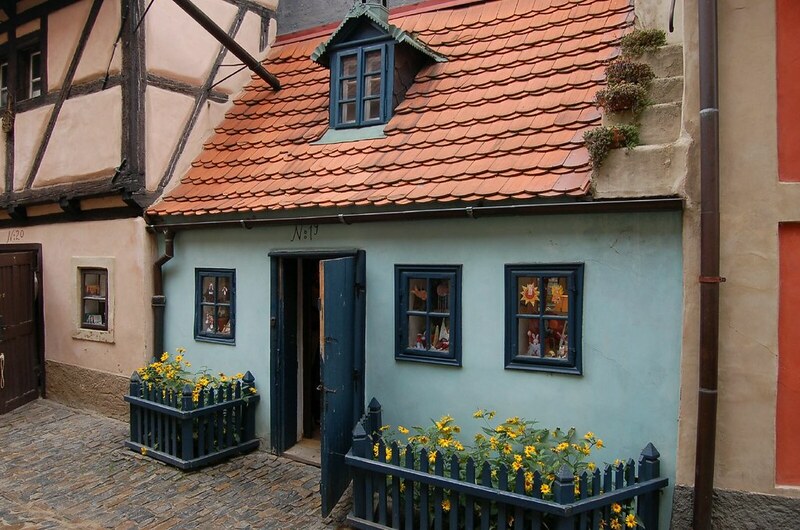 The houses on the street no longer house residents of Prague but contain souvenir shops and little exhibits which display what life was like in the lane over the last 500 years. 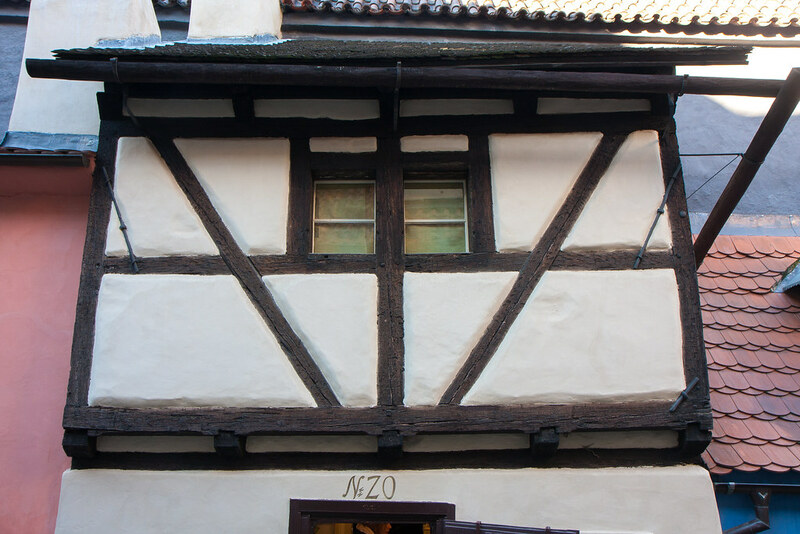 The street gets its name from the famous alchemist who once lived here during the reign of Rudolf II. This alchemist was obsessed with creating the philosopher's stone, the elixir of youth and most of all, trying to turn cheap metals into gold! He was never successful himself but stories of his attempts lived on. In the 20th century, an old doctor of philosophy spent his life savings collecting old books on magic and went about secret experiments in his house on Golden Lane. One day, neighbours heard an explosion and came running. His house was on fire, and when firefighters finally were able to extinguish the blaze, they found the old man dead inside, clutching a large piece of gold in his hand. Perhaps he finally accomplished what all those alchemists before him were attempting to do, as no one could understand how else he would have come to own such a large, expensive piece of gold. Many famous people have lived here throughout the years. 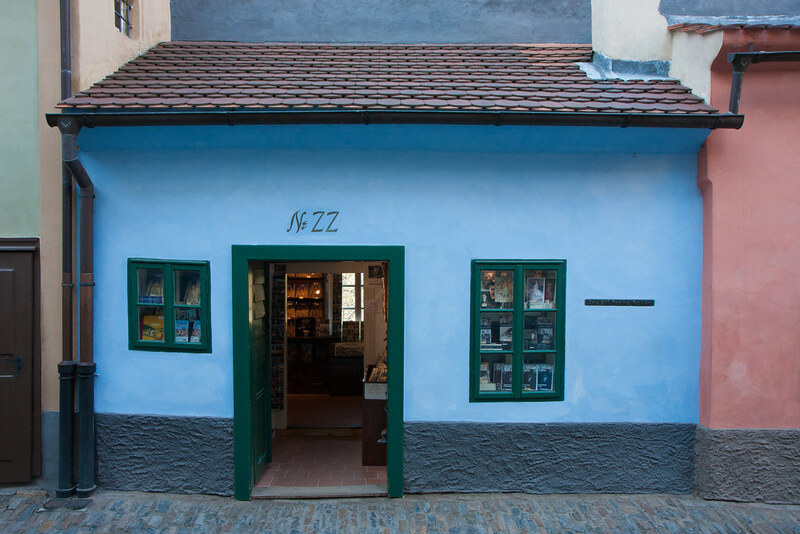 Be sure to stop by house #22, the blue house, which was once home to Czech born, German-language novelist Franz Kafka. Although the interior of this house is one of the most disappointing since it's now nothing more than a cheesy souvenir shop. House #12 was owned by film historian and collector Josef Kazda. This was my favourite house on the lane. Inside are hundreds of posters from old Czech films and piles of film canisters littering the floor. 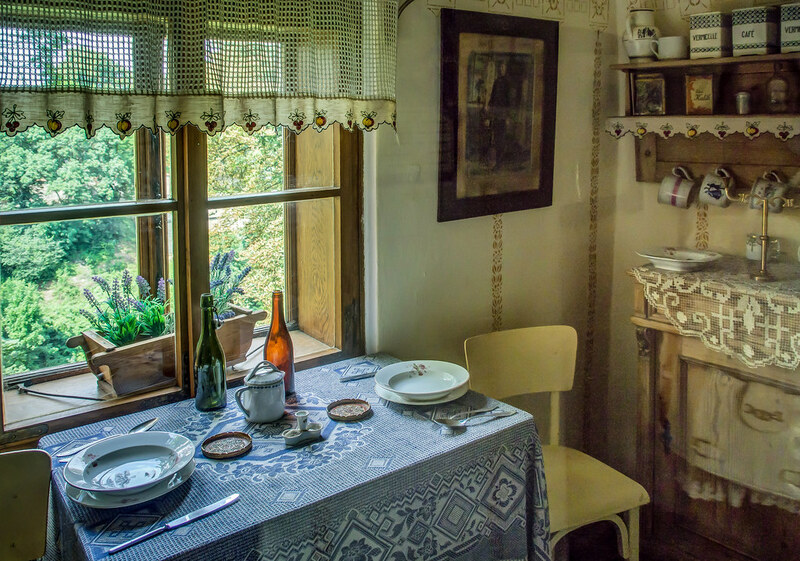 Kazda saved many films which were supposed to be destroyed by the Nazis in WWII and his house became a kind of warehouse to keep these pieces of history safe. House #13 is the residence of the red artilleryman. 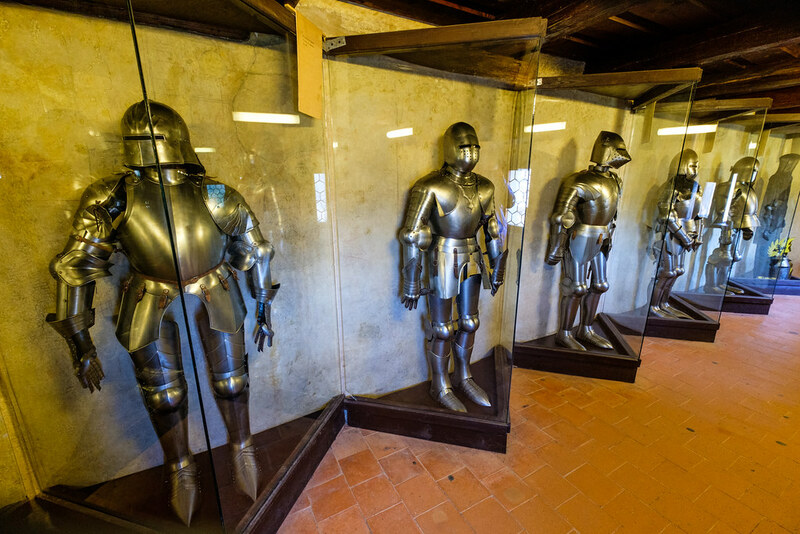 It's a recreation of the home of one of the many guards who protected the castle. Inside you can find his bed and original guard uniform as well as their humble cottage kitchen. House #14 once belonged to the psychic Madame de Thebes who lived here in in the 20th century. She predicted the downfall of the Third Reich and was eventually arrested and tortured to death by the Gestapo for her predictions which, as we all know, finally came true. This house now hosts items favoured by fortune tellers like tarot cards, skulls and books on astrology. House #15 contains an exhibition dedicated to the goldsmith's workshop. In addition to living in these houses, many craftsmen also used them as their studio. 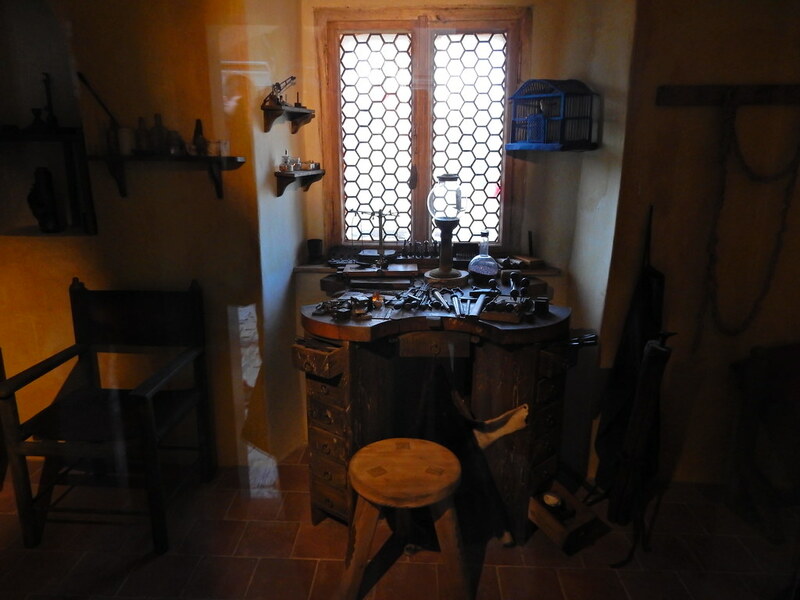 Inside this little house, you'll find a small renaissance desk, goldsmith tools, an outfit which would have been worn by such a craftsmen during the period and various other items of decor which such a man would have owned. 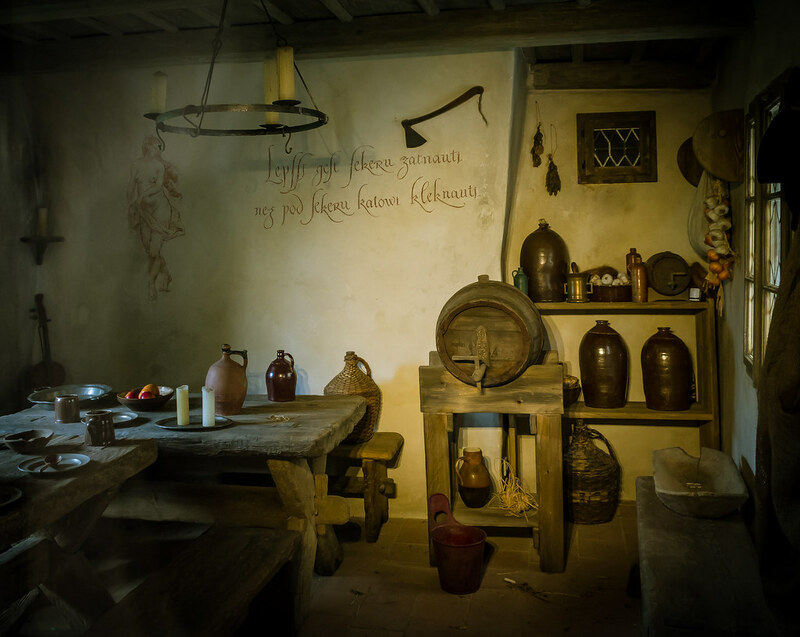 House #16 is a recreation of the kinds of taverns which would have served the residents of the Golden Lane and Prague castle in the Renaissance period. Jugs of ale and barrels of wine line the stone walls. 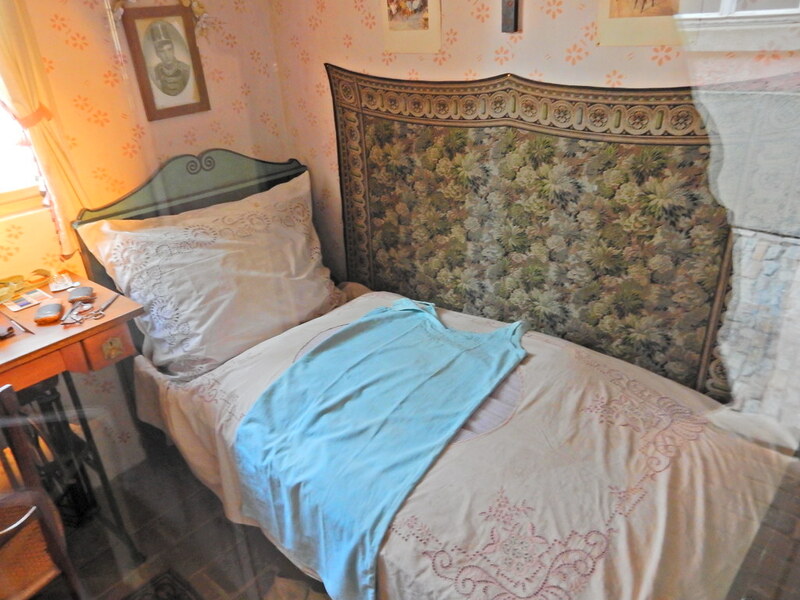 House #26 is a display of a seamstresses room. A seamstress like this would have served the queen and her court and would have been very busy creating new garments and repairing old ones. House #27 contains an exhibition dedicated to herbalists. Herbalists were the doctors, pharmacists, dermatologists and make up artists of the 15th century. They cured diseases, healed wounds and served both rich and poor. Their materials consisted mostly of flowers, powders, seeds and spices. Inside the house with the herbalist exhibit, you also have a modern day beauty products shop selling all sorts of natural creams and tonics made in the Czech Republic from regional ingredients. I'd seen this brand elsewhere in the city but buying it in the old home of the original herbalists felt that extra bit special. One of the houses at the end of the lane houses a medieval armoury and textile displays. Visitors can even try shooting a crossbow in the make shift range they've set up inside. Although this little street might seem inconsequential against the majesty of St. Vitus Cathedral or the Royal Residences but seeing how the every day people lived, the people who built the foundations of the city, is truly an eye opening experience.